Does it feel like constant blogging is wearing you down? If you’re promoting your brand with only your own content you’ve got some things to learn. User generated content is a quick and easy way to ensure that you’re always moving your brand’s presence forward. It’s not hard to learn how to use and share it either. Read on and we’ll show you a quick plan to gather and utilize UGC to raise brand awareness and sell more people on your product or service. Before you can start using your UGC you’ll need to get your users to make it for you. Exactly how you go about it depends on your individual business. If you’re selling on Amazon, for instance, you’ll want to gather as many positive reviews as possible. It’s a smart idea to kickstart a new merchandise campaign by offering free products for unsolicited reviews for instance. Brick-and-mortar businesses should focus on Google Business and Yelp reviews primarily. Restaurants, for instance, can offer a small discount for the next time someone comes in if they leave a review. Keep in mind it’s unethical to directly solicit only positive reviews. Any business should have a plan in place for dealing with the bad ones, especially early on when they can be a big detriment to ratings. You can also start article contests with a small prize(or even just a byline) to get regular content for their website. Photoshop and other contests work well for visual content. Even asking for stories about how your brand has improved someone’s life can lead to some stunning impact. The important thing is to reach out and get people generating content for you. They do the work, and you collect. The biggest advantage for you is going to be the time saved while keeping your editorial schedule busy. Knowing where to share your user-generated content is as important as the method you use to get it. Social proof, such as reviews, can be quoted on your website or social media pages for instance. Articles and other pieces which require more work can be shared on your website and then promoted on social media. While reviews provide social proof that your business does what it does well, articles and directly solicited content have two big uses. The first is that they can be used for SEO “freshness” and even keyword inclusion if you’re careful when you outline the contest. The second is that regular contests to produce content fosters a sense of community. You should promote directly solicited user content through every avenue possible for the best end results. In other words: share it like your usual content. The big difference between UGC and your own content is the trustworthiness involved. You can say pretty much anything about your product, it’s when other people start to repeat it that it will really take hold of your customers’ minds. Your customers and potential customers can shape a brand over time. 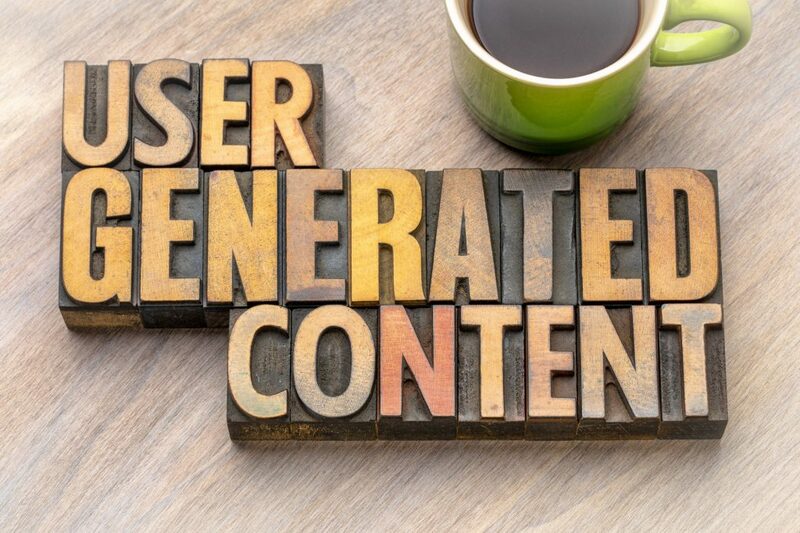 Why not use user generated content to let them? The feeling of inclusiveness is a bonus and you’ll be able to get more content ready quicker than you’d be able to on your own. Overall, it’s a winning situation for everyone involved. UGC isn’t a stand-alone strategy, however, it works best when combined with great marketing tactics. If you’re looking to get in the know about social media marketing, why not check out our blog?